Tata Motors has been working on all-electric powertrains for a while now, and has previously shown off a Tata Bolt EV prototype. UPDATE: Tata Motors has confirmed that it is indeed working on an all-electric variant of the Tata Tiago. While release dates and other particulars are still under the wraps, the Tiago will become the company's first all-electric vehicle globally, and also the first to ply on Indian roads. Indian car maker Tata Motors has reportedly been working on an all-electric production variant of the Tata Tiago hatchback. 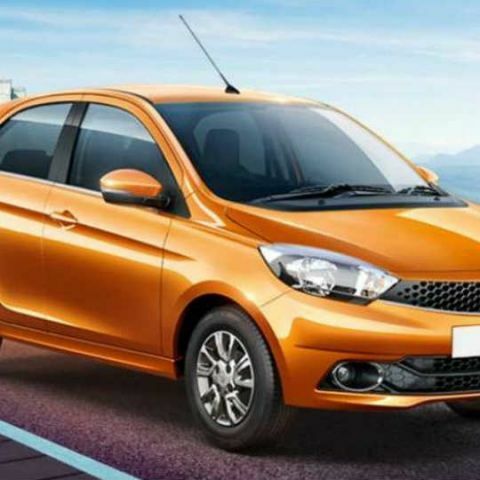 Word circulating the Internet suggest that the Tiago will be the first production model in Tata Motors' consumer vehicle portfolio to come with an all-electric powertrain. The company has previously shown off an all-electric prototype of the Tata Bolt hatchback, but it never came up to production stages. The Government of India has been recently putting a lot of emphasis on electric vehicles, with an aim to make a drastic shift to EVs by 2030. Mahindra Electric has since rolled out its EV 2.0 roadmap for building for EVs and creating a network of charging stations, Olacabs has launched its first pilot project to test all-electric cabs and e-rickshaws in Nagpur, and Tata Motors itself has a production-ready all-electric bus to take to Indian roads. Tata Motors is also slated to take part in Ola's second phase of all-electric cab project, and the likes of all-electric Tiago and Tata Nano (which, incidentally, has been spotted testing on road earlier) can be Tata Motors' mainstays of making its entry into this segment. The prospect seems bright for Tata Motors through its plans of introducing relatively inexpensive, efficient hatchbacks as the first consumer electric vehicles in India.